Jen had the 500 when we met, in 2010, so it feels strange not having it around. We had some great adventures in it. The first one I remember was going to see Faithless play in Nottingham. It was a great gig, but when we came out of the arena the city was white – covered in snow! This was before I was insured to drive the 500, or indeed had fitted it with winter tyres, but Jen did a great job of getting us home safely. Not only was it tricky driving round an unfamiliar city with all the road markings hidden by snow, there were a lot of drunken people, who seemed very excited about the snow, playing in the road. The 500 carried Jen and I on trips to Scotland (at least twice), Croyde (at least three times) and even to a Pistonheads Sunday Service at Morgan factory (after I had a tyre blow out on the MR2). Last year we had to use it to transport all three of us to Chester for Rich and Anna’s wedding, as three of our cars managed to break down at the same time and the 500 was the easiest to fix. Writing this post made me realise just how much the 500 had been a part of my life. I have had four cars since meeting Jen – my old MX-5, my new MX-5, the MR2 Roadster and my red BMW. Until a few weeks ago Jen had only had the 500! For most of this time the 500 was the sensible car, used whenever we had people or things to transport, including a lot of Ikea and tip runs during the 119 Project. I posted this picture back in 2012, but as it is still one of my favourite car photos I thought I could get away with reposting. It was taken on the industrial estate behind my old flat in Rugby. I seem to remember I had dropped Jen off for a haircut and drove round town taking photos of the car until it was time to pick her up. To celebrate our first wedding anniversary Jen and I hired this little Fiat, and spent the day pootling around South Warwickshire in it. 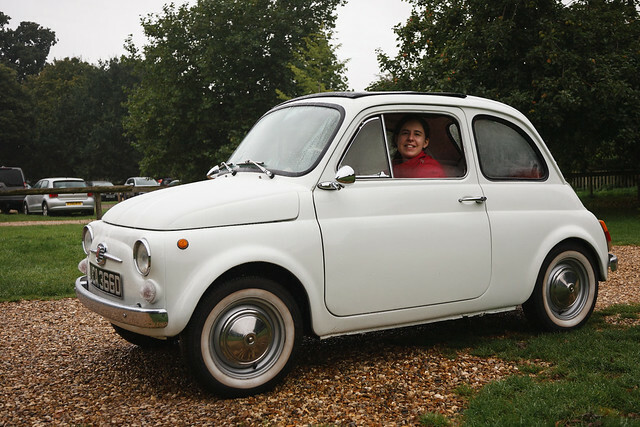 Jen has got her own modern 500, and both of us love the 1950s classic, so when I found out that Great Escape Classic Cars have one available to hire, a plan was formed. The 1966 model is a lot harder to drive than the modern version, especially as this one was LHD. Both brakes and steering are unassisted, the 4 speed gearbox didn’t have synchromesh so double clutching was needed. Top speed was 40mph – you wouldn’t want to go any faster! We both enjoyed our trip in the little 500, it could have been a case of “never meet your heroes”, but it wasn’t at all. Despite the trickiness to drive we would buy one if we had space for another car, even a really small one. I’d been meaning to take part in the “Your Top 5 From 2012” thread on PistonHeads.com for a while, so once I’d selected my five favourite images of last year, I though they would make a good blog post too. 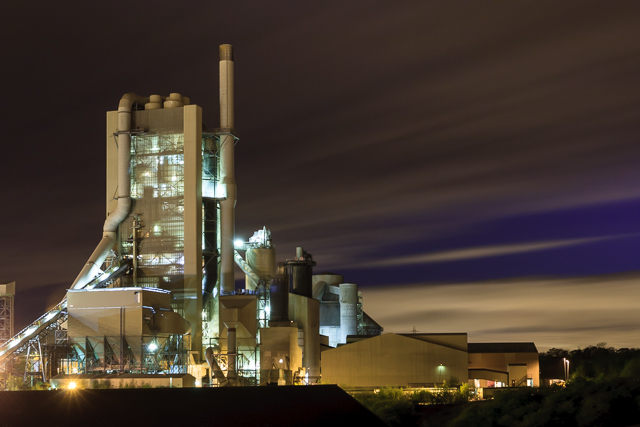 Rugby cement works – A shot I’ve had planned for quite a few years, as I can see it out of my kitchen window. 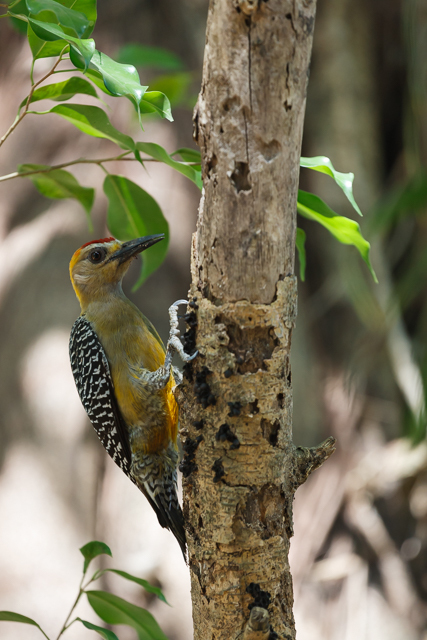 Hoffmann’s Woodpecker – This guy woke up up while I was having a post surf nap at the Funky Monkey Lodge in Costa Rica. 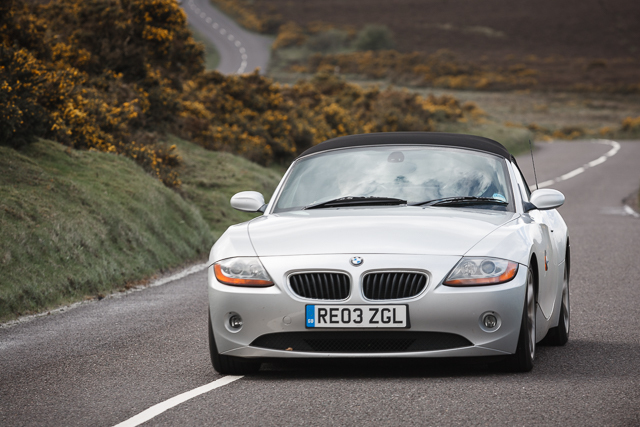 Ali’s Z4 – Taken on the A39 near Porlock on Exmoor during our trip to Devon. 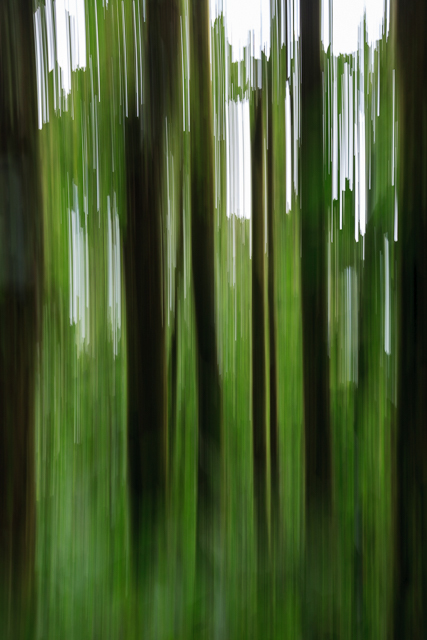 Cloud Forest Abstract – Another one from our trip to Costa Rica, this was taking in the Selvatura Cloud Forest. 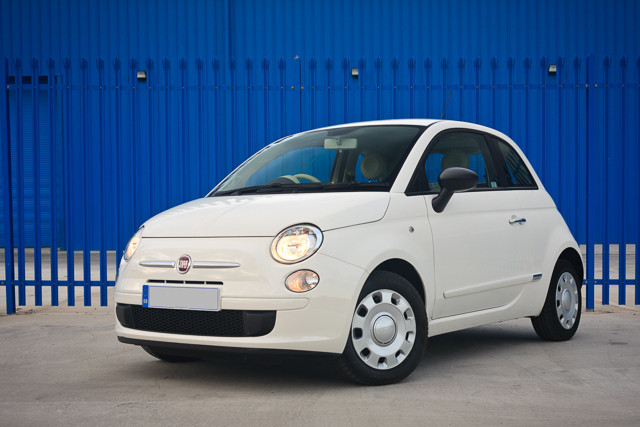 Fiat 500 – This was only meant to be a test shot, while Jen was shopping, but I really liked the effect with plain car and bright building. I wasn’t going to post this photo of Jen’s Fiat 500, as it was more of a test shot, due to the light not being perfect, but every time I see it on my phone or Flickr it makes me smile, so thought I’d post it anyway! Cleaned & waxed 500, a photo by Lewis Craik on Flickr. After washing Jen’s 500 I decided to take a quick picture of it on my iPhone and post it to Flickr/Twitter. Rather annoyingly within a few hours it had more views than all the pictures of my new MX-5, although that was possibly something to do with a retweet from Polished Bliss. 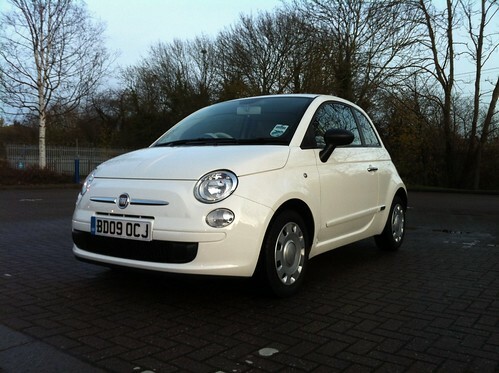 The little Fiat will be getting a proper photoshoot soon though. 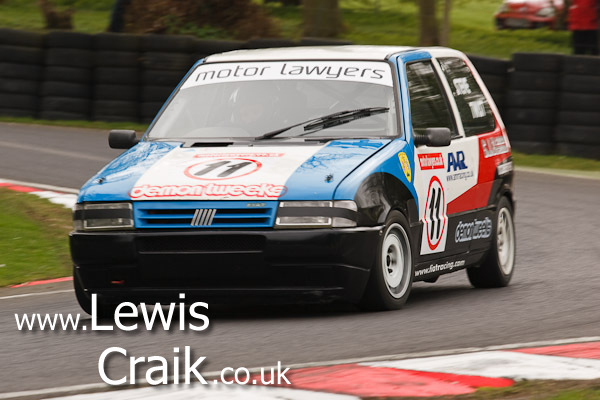 Cadwell Park – The rest! 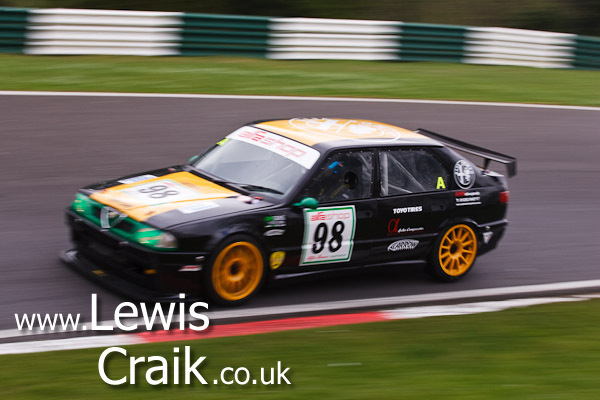 Unlike at Silverstone, Ma5da Racing were part of the BRSCC programme, as the lead series! The other series there are the Alfa Romeo Championship, Motor Lawyers Fiat Challenge, Mighty Minis, Super Mighty Minis and the Dunlop TVR Challenge. 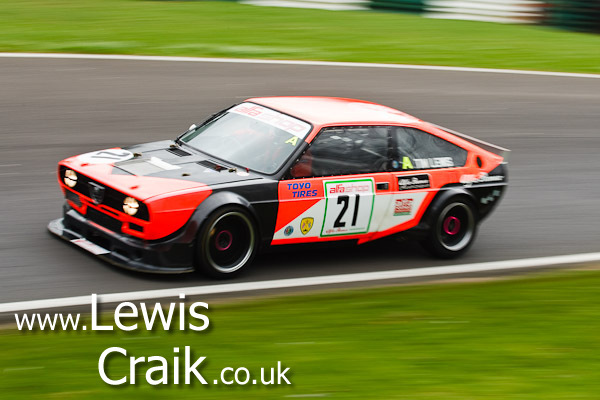 In the Alfa Championship, Tim Lewis was back with his bright Alfasud, although it was having gearbox trouble during the race. Adie Hawkins won both races in his 33 and even though it isn’t technically perfect I really like this shot taken from the banking of him breaking for the Hairpin. 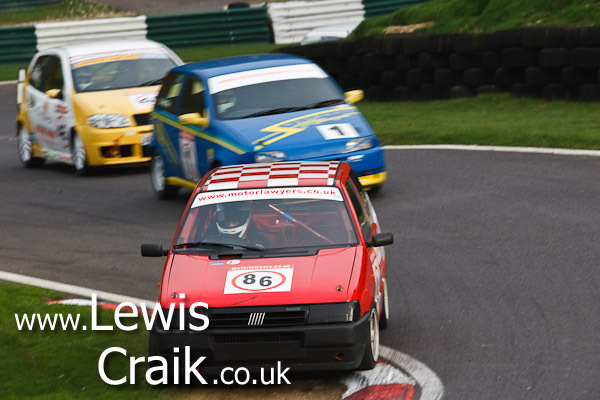 This was the first time that I’d seen Minis racing and I was treated to 2 great races. 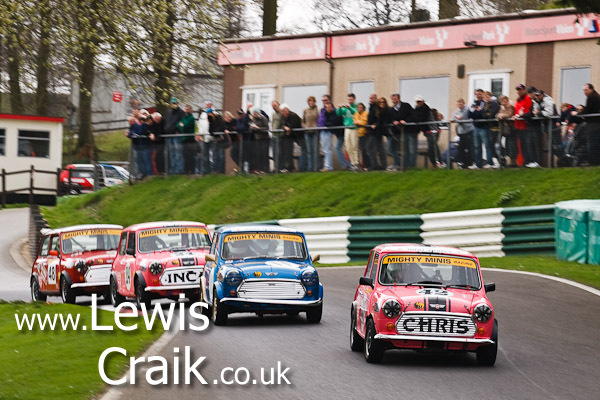 The Mighty Minis were up first, I shot this race from the inside of Hall Bends and managed was able to get some frames with the top 4 cars all in the same frame, Minis are great! The pink car of Chris Morgan won the race. 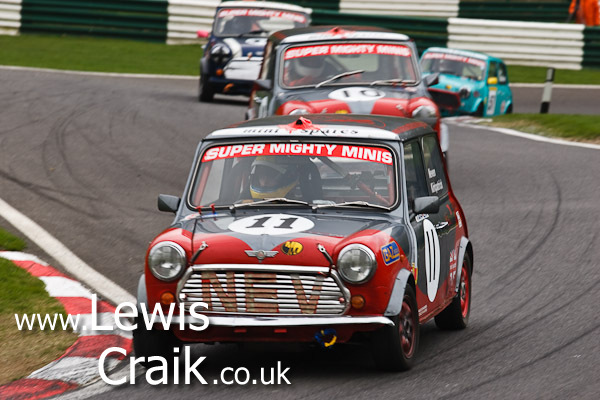 The racing was just as tight in the Super Mighty Minis race, which I shot from the same position as the second Ma5da Race, Nev Fitzpatrick won this race. Having the driver’s name on the front grille of the Minis is great, much more fun than just numbers, the Ma5da Speed team have a similar thing going on with numberplates, I think other series/teams should follow, after all it is about having fun at this level of motorsport! Like Ma5da Racing there were two Fiat races, both were close, with the usual suspects from last season not at the head of the the pack. The first race was won by Steve Twist who managed to pull out a 6s lead on the last few laps. The second race wasn’t to be for the number 11 Fiat, it was involved in a fairly hefty shunt which caused the race to be red flagged. The restarted race was won by Mark Smith, in another Uno, proving that the newer Puntos, including the HGTs aren’t as good as their older cousins. 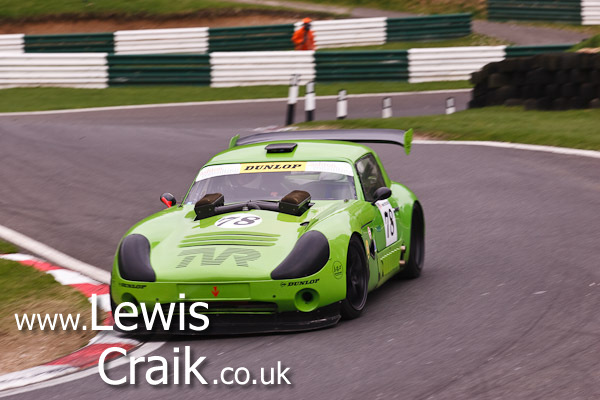 Lastly the TVRs, they were meant to have 2 races, but after the first got red flagged twice, they ended up with one, which was won by the bright green Tuscan of Danny Winstanley, it was good to see some of the older “wedge” TVRs racing and as ever the TVRs all sounded great!